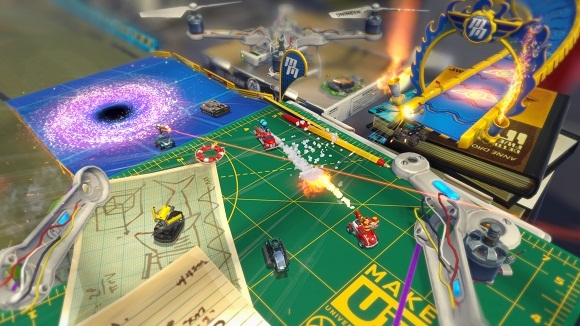 Micro Machines: World Series is a racing video game published by Codemasters for Linux, PlayStation 4, Xbox One and Microsoft Windows that was released on June 30 2017. 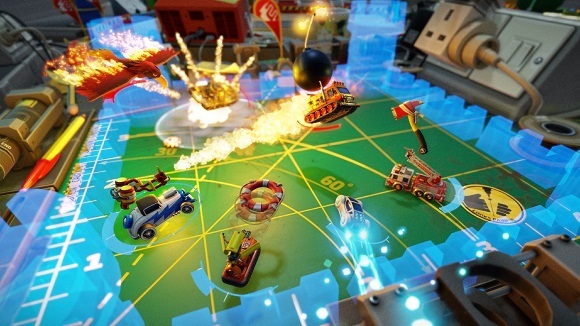 Featuring the iconic kitchen and pool table tracks amongst others, plus all-new locations and arenas such as the garden and workshop, Micro Machines World Series features 10 Race Tracks and 15 Battle Arenas! 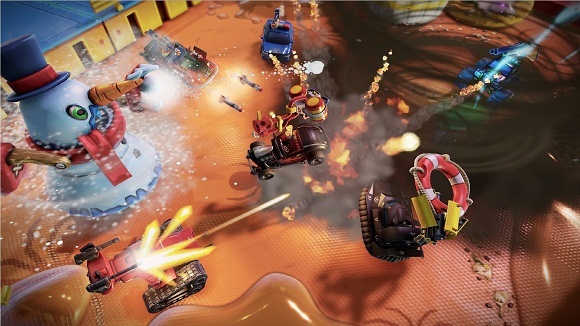 An array of amazing miniature vehicles, each with its own unique load-out of weapons and abilities plus a massive range of customization options! 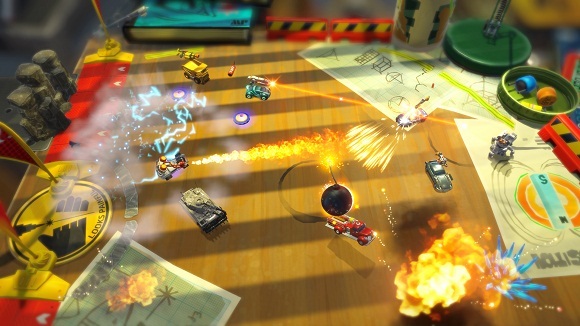 Micro Machines racing for the purists, including Elimination mode! Huge variety of weapons, interactive tracks, unique skins, and gravestamps to earn! 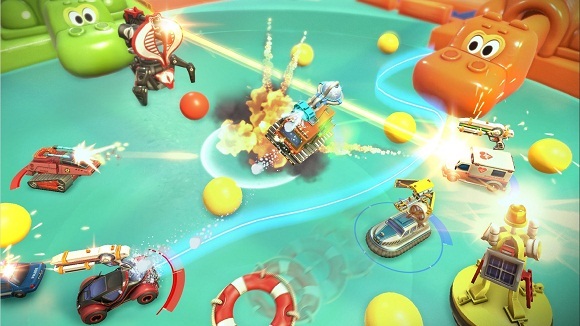 Up to 12 players in huge arenas, multiple modes that proves that a single takedown is just as satisfying as winning a race! Game-changing synergies as you join together to take on the rest!